woohoo! no more being trapped in the house, soon. Oh noooo…..how am I going to tell Diego that George’s racecar died? He’s going to be devastated! 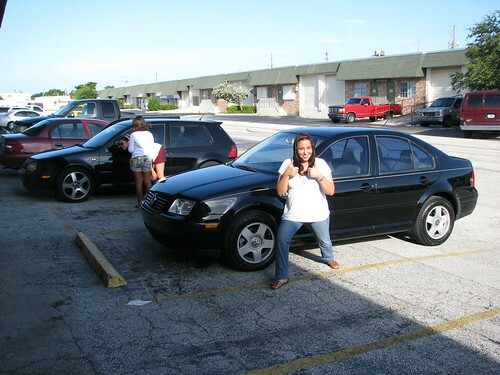 My first car after we got married was a Jetta, too. It was Maroon. I didn’t name it. I did name my next car, though! I named her Dolores. Dolores the Taurus. Was your Taurus a nightmare? Everyone I have ever known that owned one ended up hating it! My second car was a Honda Civic 1993. I had him for almost 4 years and I named (honezinho). It is a mix name in English and in Portuguese.